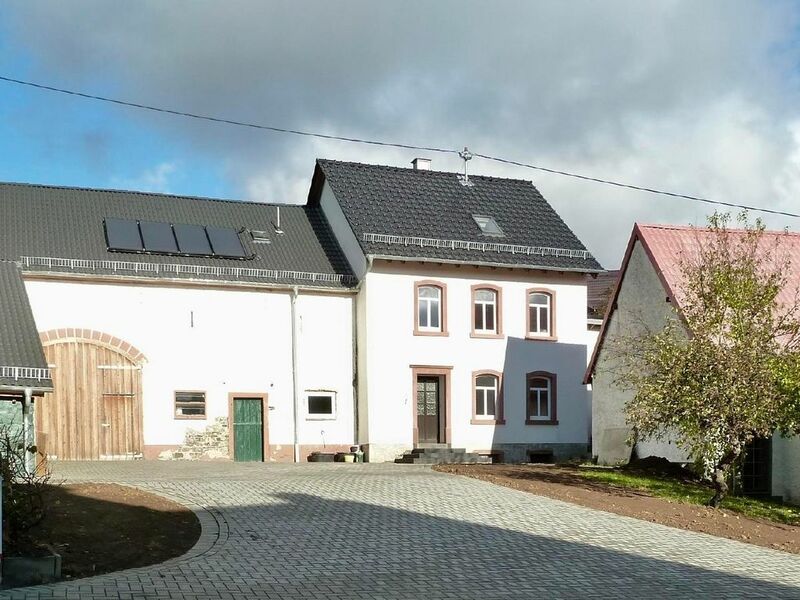 The holiday home Schäwisch is a former farm from the year 1911 and is located in the low mountain landscape of the Eifel municipality Dreis-Brück surrounded by forest and nature. The house and the farm have been lovingly restored in recent years. Both are now shining in new splendor. Here you will find enough space for 6 people. The decor of the house is largely adapted to the style of a farmhouse from around 1900. The large kitchen and the cozy living room invite after strenuous activities for relaxing evening hours. On sunny days, the newly created barbecue area with garden furniture is at your disposal. For longer stays, we also like to bake bread or delicious cake with you in the 100-year-old in-house stone oven. that's the slogan of our community. The two villages Dreis and Brück form since 1974 a municipality and belong to the district volcanic Eifel. Our local community is on an area of 1. 818 hectares surrounded by green meadows, mountains and streams. A total of 820 hectares of forest at an altitude of 520 m above sea level to 477 m above sea level characterize our landscape. The picturesque landscape around Brück invites to long hikes, interesting bicycle tours, exciting horse riding or swimming in the volcano.